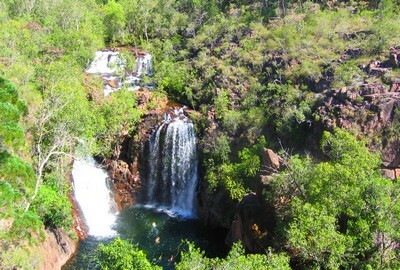 We have only three days for Kakadu and maybe Litchfield. We arrive 1st April. We are coming back to Oz after 20 years with the kids and need to pack everything into 3 weeks. Can you suggest the best bits to visit in 3 days at that time of the year and do you have any suggestions for reputable 4WD hires? What you can visit in the Kakadu and Litchfield area in early April is determined by which roads are open. I just had another question about Kakadu in April. That page explains more about that. The information is very relevant for your question, too. The government website has pages with Kakadu itineraries specifically for both the dry season and wet season. I would recommend that you definitely put Litchfield National Park on your itinerary. It is more accessible during the wet season and the attractions in Litchfield are closer together. Litchfield has one sealed loop road through the whole park, and that road is generally accessible all year round. You can cover Litchfield in a single day if you want to. How much and what you should see in Kakadu will be determined by which roads are open, so you have to play it by ear. Study the itineraries that I linked to above to get an idea of what you can fit in. The most current road report for Kakadu National Park is here. Check it just before you leave. If you want to develop a detailed schedule before leaving then stick to the attractions that are usually accessible during the wet. I don't have any advice for where to best hire a 4WD. All the big companies have depots here, they are all reputable, and their prices are all very similar. I agree with B, Litchfield is a must. The kids will love the swimming holes as much as you will, and you can to do it all in a day. Enjoy! !